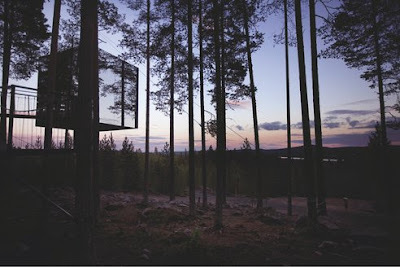 inspire by design: A very special tree house design - I want one! I just saw this amazing mirror tree house on Treehugger and would so dearly love to be able to hide out in one! They are now available to make your own with TreeHotel handling the construction... See the full story at Treehugger. What a beautiful way to be a part of nature... now I just need a good spot for one! Design by Tham & Videgard Architects. Photo by Peter Lundstrom, WDO.